Mr LI Yongqian graduated from Zhengzhou University (formerly known as Zhengzhou University of Technology) with a bachelor’s degree in Architecture. He obtained a master’s degree in Business Administration from Beijing Institute of Technology and a doctor’s degree in Law from Central University for Nationalities. He is a senior engineer. Mr LI joined CCCG in January 2014 with rich experience in operation and management. He served as the general manager of the coordination and management department of China State Construction Real Estate Co., Ltd. (中國中建地產有限公司), the deputy general manager of China Hydropower Construction Group Real Estate Co., Ltd. (中國水電建設集團房地產有限公司), the deputy general manager of the real estate division of China Electric Power Construction Group (中國電力建設集團) and the deputy general manager of the real estate division of CCCG. Mr LI joined the Company in March 2015. 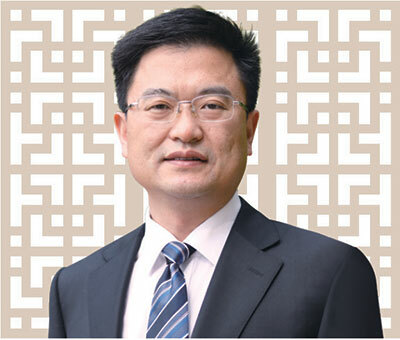 Currently, he serves as an executive director of Greentown China, and he also serves as the Chairman of Greentown Real Estate, as well as a director of Greentown Project Management, Greentown Asset Management, Greentown Town Development. Mr LI was appointed as our executive Director on 15 January 2016.